Revenue Minister Stuart Nash says the Government will establish its Tax Working Group and release its terms of reference and memebership by Christmas. Nash pledged this as part of the new Government's 100 day plan when giving the opening address to the Chartered Accountants Australia New Zealand Annual Tax Conference in Auckland on Thursday. "We want a group of experts to advise us on the future of the tax system. Let’s be honest, no one usually likes paying tax, so IRD have a duty to make it as easy as possible to comply while still taking into account the integrity of the system. I know it’s a very fine balancing act, but we should always be looking for ways to improve," Nash said. "We also want to make this a conversation involving the broader public and community. The tax system is something we all must own. We’re committed to ensuring our tax system continues to apply as broadly and neutrally as possible. A big concern of this Government is fairness. Although there have been a number of Tax Working Groups over the years, our tax system hasn’t had a major overhaul in a generation." "So the first question for the Working Group will be: 'Is our tax system fit for the future?' Perhaps the Working Group will say that the system is fine and they will come back with no substantive recommendations. But I suspect there are inherent inequities in the system that need addressing," Nash said. "How broad this review will be is currently being discussed. But personally, I think this is an opportunity to think longer term about some of the bigger opportunities and threats to our tax system. An opportunity to future-proof it." During the election campaign the Labour Party pledged to establish a Tax Working Group if it was in government, but not introduce any Capital Gains Tax, if one was recoomended by the group, until after the 2020 election. Here's Nash's speech in full. It’s great to be able to join you here today as the Minister of Revenue. It was only a year ago that I was last here with you in a different role. Thank you for the invite, and can I start by just acknowledging the great work that CAANZ does, and I hope will continue to do, in supporting the New Zealand tax system. One thing I am really keen to do today is set the scene for how I would like Inland Revenue and the private sector to collaborate over the next three years. As someone who has sat on the Finance and Expenditure Select Committee and considered a number of tax bills, and had to set my alarm far too early in order to get up and read your submission, I know that you take your role in crafting tax policy and legislation incredibly seriously. For this I thank you – even though I didn’t at 4.30 am in the morning. The day after Winston confirmed that he was forming a coalition with Labour, but before Jacinda had allocated portfolios, it had already been announced that Grant would be Finance Minister and we were joking about the amount of tax legislation we would have to put through the House to achieve our 100-day plan. I said to Grant, “Well mate, you are going to have to read all this tax legislation now.” He said “Well, the Revenue Minister will,” – to which we both laughed. Little did I know … I suspect I cursed myself when I didn’t delete that 4.30 am alarm setting. Our Government’s focus in the first term will be to make New Zealand an even better place to live in. A better place to live, work, visit and do business. Our policies will see major investment in housing, health, education, police and infrastructure, while creating jobs and lifting the incomes of families. Tax is important because it funds the public services and infrastructure that all New Zealanders rely on. Community expectations about living in a fair and decent society with first-world public services rely on the tax system delivering adequate revenue. Tax is broadly 1/3 of GDP and therefore it is absolutely critical for New Zealand’s wellbeing that it works well. Our system is good, but it can be better. We want a progressive tax and transfer system for all individuals and families. It must treat all incomes and assets in a fair, balanced and efficient manner. While I am in favour of the tax system to incentivise certain behaviour (for example, excise tax in relation to tobacco), I am adamant that the tax system must not create perverse outcomes to the detriment of the economy. Where these have occurred, we will fix them. It must promote the long-term sustainability and productivity of the economy. And it must be efficient, fair and simple to collect. We also know some sectors of society can get away with paying little or no tax. That’s unfair, and we want to strengthen our system to reduce those opportunities and to make it fairer. I said we had lots to do – let me set out the Government’s priorities in the tax space for the first 100 days. Repeal the previous government’s tax cuts and redirect that to families in need, and what we consider is more targeted assistance. With so much investment needed to support our social services and our infrastructure, now is not the time for tax cuts. Legislate to pass the Families Package, including the Winter Energy Payment, Best Start and increases to Paid Parental Leave. Establish the Tax Working Group, led by the Minister of Finance and myself. By Christmas, we will release the terms of reference and membership of the Tax Working Group. We want a group of experts to advise us on the future of the tax system. Let’s be honest, no one usually likes paying tax, so IRD have a duty to make it as easy as possible to comply while still taking into account the integrity of the system. I know it’s a very fine balancing act, but we should always be looking for ways to improve. We also want to make this a conversation involving the broader public and community. The tax system is something we all must own. We’re committed to ensuring our tax system continues to apply as broadly and neutrally as possible. A big concern of this Government is fairness. Although there have been a number of Tax Working Groups over the years, our tax system hasn’t had a major overhaul in a generation. So the first question for the Working Group will be: “is our tax system fit for the future?” Perhaps the Working Group will say that the system is fine and they will come back with no substantive recommendations. But I suspect there are inherent inequities in the system that need addressing. How broad this review will be is currently being discussed. But personally, I think this is an opportunity to think longer term about some of the bigger opportunities and threats to our tax system. An opportunity to future-proof it. I would like to briefly discuss some of those longer-term trends. The first is: what is the future of work? We know from research conducted by the Minister for Finance Grant Robertson that the nature and experience of work is changing rapidly. We need to be in a position to respond to the changes. One job for life is yesterday’s reality, not tomorrow’s opportunity. So let’s understand the consequences of this from a tax perspective. At the same time, New Zealand must continue to be an innovative place with high economic growth, where businesses thrive and create the jobs that will make as Sir Peter Gluckman once said “New Zealand as a place where talent wants to live”. Internationally, I expect the trend of declining tax rates to continue. Just recently, the US House of Representatives released their tax proposal, with a fall in the company tax rate from 35% to 20%. This is something to keep an eye on. We want to make sure that our company tax is fair and efficient and, as with the BEPS work which the Government will continue to support, it is important to ensure that all companies operating in NZ, pay their fair share. The Government will take strong action to ensure multinational companies comply based on their genuine activity. As the then PM John Key said “what these companies do may be legal, but it’s immoral”. At the same time, we will ensure that New Zealand remains a great place to do business. We will be introducing legislation soon to support this. The system must be consistent and easy to understand and comply with, while maintaining its overall integrity. Another issue is the ageing population and growing fiscal pressures. Increased costs of New Zealand Super and healthcare. We must ensure that the tax base is resilient, and able to fund the services in a way that meets the expectation of all New Zealanders. Meanwhile, new technology is changing the way business operates and consumers behave. We need 21st century solutions to 21st century problems. There are opportunities for foreign services to be supplied into New Zealand from companies that are resident overseas. It is important that, over time, this does not lead to an evaporation of our company tax base. This is an issue which is currently receiving considerable debate in the OECD, and it is important for us to be considering how New Zealand should best respond. Another change is the rapid growth in the sharing economy. The biggest accommodation provider in the world doesn’t own a single bed and the biggest transport provider doesn’t own a car. As this sort of practice develops, it will be important to make sure that everything is done to ensure high levels of tax compliance. But we don’t want solutions that only address particular platforms; we need a tax system that makes compliance painless for all future innovations that become part of the new economy. There are even more disruptive technologies on the horizon – in particular blockchain technology, such as Bitcoin, and other decentralised methods of operating. It’s inevitable that our tax system will need adjustments to accommodate these new business models, however they evolve. If we don’t evolve at the same rate in real time, the potential cost could be huge. The successful solution to these issues will depend on tax professionals such as you continuing to engage with the Government to work through issues. One advantage we have is that our tax system is undergoing the most significant transformation that is probably happening around the world in how it administers tax, and this creates great opportunities for us to get ahead of the game. Just on that, I would briefly like to touch on Business Transformation. I know the Commissioner [of Inland Revenue] and her staff will be giving you an update on the detail. This Government is supportive of the direction of Business Transformation. A modern, digital tax system will serve all the needs of New Zealanders. Customers will spend far less time and effort ensuring they meet their obligations and receive their correct entitlements, as tax will be withheld and assistance provided at the time it is needed. As a result of the changes being made, businesses will be able to spend more time on running their business, with tax as a secondary consideration. Both business and individuals will have greater confidence that they are paying the right amount with minimum effort required on their part. As you may know, provisional tax, a particular concern for many businesses, has been addressed. The Transformation programme will allow Inland Revenue to best serve all New Zealanders and the Government by increasing certainty in the tax system, reducing compliance costs and simplifying tax administration – through the use of digital services. It’s a key investment, and the Government is committed to the success of the programme. 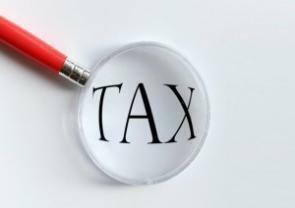 The income proposals relating to the timelier provisions of PAYE and investment income information are in the bill currently before the select committee. Many of you today have made submissions, which I thank you for. I would like to see this bill reported back and enacted by 31 March 2018. Meanwhile, officials are still to report to Ministers on the policy proposals canvassed in the TAA, Individuals and Social Policy discussion documents, taking into account the feedback received in submissions. As part of this, one objective is to ensure that money held by the IRD goes back to Kiwis. At present, the IRD holds around $720m in unclaimed tax refunds for taxpayers earning employment and investment income subject to withholding. The proposal is for refunds to be issued automatically. I would expect to start to consider this advice later this month before it makes its way into a tax bill. That brings me to an important point. I believe that there are too many tax bills before the House. A couple of years ago, three or so submitters made submissions on the wrong bill. And too often, there were times when the IRD was saying one thing while tax professionals were saying another. None of us on the select committee were tax professionals, yet we were expected to rule on complex tax law. This point was personally very challenging. I know that good relations already exist between the IRD and the private sector. I also know that the IRD is currently undertaking work to try to improve how it engages with the sector. This is good. Of course, there will always be areas where full agreement cannot be reached, but it shouldn’t be a fundamental disagreement on crucial tax legislation. It’s more important than ever for us to be working closer together. Our aspirations for the tax system reflect our aspirations for our society. To make this happen, we need better engagement between tax professionals and the IRD on policy proposals. The pay-offs for our economy and society will be immense. And from a purely personal perspective, it should mean I will no longer need to get up at 4.30 am to read detailed submissions opposing proposals. "What for ?! I've already been on 4 ..."
Just get on with it, for Heaven's sake.... !!!! It was two, not four.. Anyone know what happened to the recommendations of the prev committees? Yes - they're lying on backroom shelves of several government departments. If we have a full and frank tax review it should be independent of any and all politicians and should be published in full for all to read. Not just the bit that the politicians want to use. Where would you get a panel of experts that would not be politically aligned? One has to agree with Gareth, however if they are going to do one then the scope should be as open as possible. The glaring gap is obviously some form of capital gains or property tax. However NZ First will never allow that. The glaring gap is paying out taxes out to people that contribute zilch to the country! The welfare system is the biggest drain on the country and needs to be reformed so let’s have a working group on that!!! If these taxes that this group will probably recommend come it will make things far worse for renters. Taxing capital gain is supported basically by the jealous! Over 50% of that is given out to people regardless of need, just because they happen to have reached a certain age. And this is funded by an envy tax on those who are earning wages, confiscating some of their wages and handing it to the elderly instead. This is supported basically by the jealous! "The welfare system is the biggest drain on the country and needs to be reformed so let’s have a working group on that!!!" Those are words I never thought I'd hear from a landlord. Talk about bite the hand that feeds ya. And if you moved the WFF tax credits into MSD instead of IRD (lets be honest, they are a welfare payment) they become the second biggest handout of the lot. Time to freeze/slowly withdraw WFF and accomodation supplements. I don't know why people have a problem with the Superannuation payment, people have happily paid the taxes all their working life with the view of getting the pension in their retirement. The last time the age of eligibility was extended the Government ended up in the political wilderness for nine years. Even Labour will not look at extending the age of entitlement, because they know the outcome.. Now people are not only paying their taxes for the National Superannuation, they are contributing to Kiwisaver as well. Can you blame people for investing in property or any other investment to avoid paying more in tax.I will bet that the tax committee will still be deliberating on reform in three years time. I think the tax situation is "all at sea". But what do I know ...America's Cup runneth over...maybe.